Charles A. “Sonny” Jackson, age 86, of Bellefontaine, Ohio passed away at 7:32 A.M. Wednesday, March 27, 2019 at the Lima Memorial Hospital in Lima, Ohio. He was born in Bellefontaine, Ohio June 13, 1932, to the late Joseph Ephraim and Thelma Rebecca (Young) Jackson. Along with his parents, Sonny was preceded in death by two grandchildren; sisters, Helen Mohr, Eva Brenner, Emma Cloninger, and Kathryn Danner and brothers, John Jackson, Robert Jackson, Bill Jackson, and Paul Jackson. On January 25, 1958 in Russells Point, Ohio, he married Charlotte Knief and she survives. 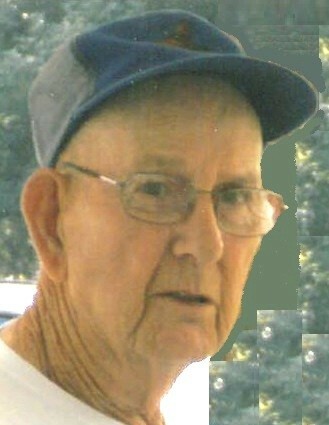 He is also survived by his children, Tracy (Randy) Bybee, Jeff Jackson, and Tony (Janet) Jackson; seven grandchildren; six great grandchildren; a brother, Howard “Bud” Jackson; sisters-in-law, Mary Ruth Jackson, and Barbara Allison and several nieces and nephews including David (Jean) Jackson, who were close by whenever Sonny and Charlotte needed help. Sonny was a veteran of the United States Army and a member of the Gretna Brethren Church in DeGraff, Ohio. He was a farmer his entire life and also worked for the Sale Barn, drove truck for FN Johnson, and retired from Honda of America. Sonny participated in the Vets to DC and was a member of the American Legion #652 in DeGraff. He loved farming, raising cattle, going to the casino and in his earlier years going fishing. Sonny and the family liked trap shooting. They had the largest family at the National Shoot in Vandalia. Sonny didn’t know a stranger and was always there to help. He loved his children, grandchildren, and all children. Visitation will be held Sunday, March 31, 2019 from 2 to 4 P.M. at the Daring & Sanford Funeral Home in DeGraff. Pastor Rob Starnes will officiate the funeral service at 11:00 A.M. Monday, April 1, 2019 at the funeral home. Burial will follow the funeral service at the Greenwood-Union Cemetery in DeGraff. Military rites will be provided by the Logan County Veterans Honor Guard. Logan County Vets to D.C.